Pramila Jayapal, a “bold progressive fighter,” is running for the open seat in the highly democratic 7th district of the state of Washington. Born in India and raised in India, Indonesia and Singapore, Pramila has worked for over 20 years in international and domestic social justice, and she is considered to be a leading national advocate for immigrant, civil, and human rights. Jayapal brought her passions to the state of Washington, and founded OneAmerica, the state’s largest organization for immigration advocacy. After countless success stories at OneAmerica, Jayapal became co-chair of We Belong Together, a campaign dedicated to bringing women into the immigration reform sphere. 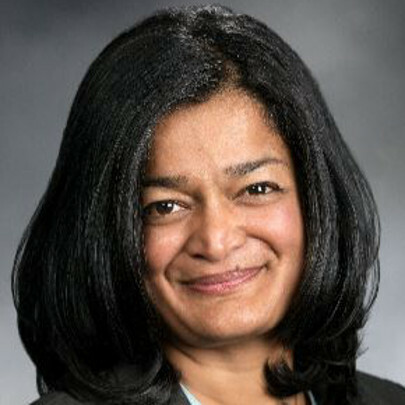 Jayapal was formally recognized by NOW for her achievements in issues regarding women of color and immigrants with the Olga Vives Award in 2014.